You may be aware that earlier this year, I visited the headquarters of two companies in the camera and drone spaces: this was of course part of a greater plan. I’ve also been a little quiet on the picture-making front because behind the scenes, there’s been a lot of work going on that’s much closer to my previous profession in nature: operations and corporate strategy. I’ve recently returned from Gothenburg with a new business card and a tag to open the doors of a place I’d only imagined not so long ago. In short: I’ve been appointed the new Chief of Strategy for Hasselblad. What does this mean in practical terms – for the site, for my own work, and more importantly, for Hasselblad? I’ll attempt to answer those after the jump, along with my rationale behind accepting the offer. Quick update: I’ve been seriously overwhelmed by the amount of positivity and support in the last couple of hours. Thank you all so much! Firstly: the site continues pretty much as-is. I will continue to write and post (though obviously, my personal reviews will continue to be limited, as there would be a serious conflict of interest if otherwise) and most importantly – make images. The frequency of my postings is likely to decrease slightly, though we are in the process of finalizing some arrangements that will see a new (and very well known) contributor joining mingthein.com in the next couple of months. And yes: other reviews will be back. I already receive so much feedback and traffic regarding cameras, desires, wants, thoughts on Hasselblad etc. that it makes logical sense to both continue being the receptacle for that, but with a big difference: I will now be in a position to do something proactive with it. I announced at the end of last year that I would be curtailing teaching activities and workshops in order to spend more time at home; that’s true as my position is both part time and can be performed for the most part remotely via email and over the phone. This is a nice bridge to keep things interesting. Commercial work continues, though I now have the luxury to be a little more discerning and only take the most interesting jobs. Variety is still the key to keeping yourself creatively motivated and able to apply insights from other situations; plus it’s important I stay in sync with the industry. I still have new bags in the works – yes, the smaller mirrorless bag and a few other surprises – which will be announced in the coming months; we’re currently in the final stages of prototyping. For Hasselblad, things are a little different. My role is a very broad-based one: ostensibly, it’s about ensuring the correct customer experience that’s in line with the brand and the kind of expectations one has when spending several orders of magnitude on anything past ‘sufficient’. Where can we innovate with product offerings, and how do we create emotional design that’s both functional and just downright beautiful? Yes: this means I will in my new role have some influence over the product roadmap, and no, I obviously can’t say what’s coming up or comment on rumors. But sufficient to say that we will have something very, very interesting coming later this year. And now that that’s all done – have you watched the H6D-100c Thaipusam video yet? Congratulations on the Appointment, Ming. I know you from tz-uk watch site’s photographic forum (I was xpatUSA). Congratulations Ming. Actually I noticed it first on your Instagram and I was wondering about the change. My frequency of visiting this site has been reduced that’s why I didn’t know about this until now. I am glad you will keep this site alive even with reduced activity, which is fine with me. 🙂 Congratulations again. Hello Ming, I’ve waited a bit, not to get mixed in the great flood of reactions. But for sure, I wish to congratulate you from the bottom of my heart. I have no doubt that both you and Hasselblad made a wise decision. As for the website, I guess many will miss your very in depth product reviews. Personally I valued the more “philosophical” articles the most and I hope (and reckon) that those will continue. So I will stay a faithful visitor of your site. All the best to you, my friend!! No indeed, you didn’t. And the fact that the success of the site keeps on growing anyway (and the number of replies as well) proves that your followers agree that the most important thing in photography for sure is not the gear. Which speaks for the average level of this comunity and again of the site. Cool, good news!! Please ask Hasselblad managers to continue to support their V system bodies and lenses with spare parts. After all, if the film revival is really happening, there will be continued demand for the 500, 501, and 503 bodies and lenses. I have seen prices on ePrey going up, so there does appear to be increased enthusiasm for the classic equipment. Thanks from a film user in Mississippi. I am sorry I missed this, until now. Congratulations are in order We know that you have the talent, love of the art and of the product, and brains to do the job well. The evolution of the industry is challenging for everyone these days, but I hope that it is a good fit. High end products probably have the best chance of surviving the “good enough” reduction of pure camera manufacturing. Thanks David! I of course hope it’s a good fit too, but one never knows with corporate culture until you’ve been ‘in it’ for a while. Congratulations MT, all the best! At last, a competent and thoughtful photographer actually working on the development of new cameras. It might catch on! I have always liked your thoughts on ergonomic limitations of cameras – one of the most important design considerations, and now your imput may make hasselblad shine as a product. Camera companies need to be told, loud and clear, when their product’s design gets in the way of fluent use. Congratulatins on your appointment – you deserve it. I look forward with great interest to future developments. Congrats Ming. I’ve been following your site for many years now and look forward to your posts. You have definitely elevated my photography through sharing your knowledge, experiences, and reviews. On a side note, I’ve also read some of comments on your press release at other sites. I know you have been a somewhat public person through your blog and work, but I was wondering what you think about all of the commentary regarding your appointment? Do you mind it? Do you wish it wasn’t so viral/public? If you didn’t already, you certainly have the photography community’s attention now. If anyone can push photography forward, like Apple continues to really improve their cameras, it is you. Best of luck!! Fantastic news Ming! Can’t think of anyone more appropriate and am reassured with your contribution, Hasselblad has even more chances of succeeding in this-now-very competitive market. Congratulations! A wonderful solution to the work/life balance question we all face. Hasselblad made a great decision to envision using your skills in a new and creative way, and you in turn made a wise decision to accept the challenge while leaving room for expressing your creativity and expanding your considerable skills. I would expect that in the years to come Hasselblad will consider building on the Leica model – creating high end “learning camps” for their clients, and I expect that would work well with both your interests and skill set. This is great news, congratulations! Wishing you all the best and looking forward to seeing what the future will bring. Great news. Wishing you a good hand and Hasselblad to open their ears and listen. All the best, G.
Great move !! Best wishes! Congratulations!!! This is really good news. I am visiting lots of various sites, if anybody earned it, so chapeau, Swedes have Chosen the best one! Congratulations Ming , I think you will bring value to already value rich Hasselblad. Have Hasselblad thought about manual lenses for faster lenses to reduce weight/size (regarding the X system)? and last will we see the larger 100mp sensor in a X1D like format(mirrorless) camera ? I know you can not spill out the future , but I couldn’t help it I had to ask. Faster lenses: everything is possible, but given the priority for this system was compactness – significantly faster lenses = significantly larger optics = significantly more cost and weight. There’s already a 100/2.2 for the H system that will work on this via the XH adaptor though. YESSS…! That’s a very good news for all people working with Hasselblad ! Congratulations and good luck for this very important challenge for you and Blad ! And earlier when I suggested a “business” model for this site you graciously and expeditiously excused yourself from activites which would interfere with other personal goals. And look at you now! :). We know, you cant help yourself – been there and I’m still there. Impossible because of the optics involved – schiempflug means you can no longer calculate phase differences for AF. CDAF perhaps, but you’ve got potentially a very long range of ‘in focus’ distances if the focal plane is working with you. I look forward to your accomplishments. Perhaps you might seek input from friend Hans Strand whose aerial work in Iceland using the “H” system is perhaps second to none. An Hasselblad master with unique and consistent vision of the great landscape. A former LF camera enthusiast as well. From one Malaysian to another….Salam Tahniah Ming. Congratulations on your new position Ming. Through your site you’ve taught me much about the art of photography and I wish you all the best at Hasselblad. They made a stellar decision bringing you on as you seem to have a firm hold on photography as a whole, not just a few of its constituent parts. It’s also great to hear that you will keep the site going! Ming, as a frequent admirer of your well articulated thoughts and perspectives, I am very happy the site continues. I am thrilled for yourself, your family, Hasselblad and the photographic community. That your intellect. creativity and real world experience will help shape the future for an iconic photographic organization is exciting for the entire photographic community. Best wishes! Congratulations Ming and wishing you great success in the new role. I might never be able to buy a Hasselblad camera because of the price, but I’m 100% sure that Hasselblad will benefit by your expertise. Hope your blog won’t go dormant. Thanks. As clearly noted in the original post, the site continues and I’m bringing on another contributor. First, I must say I’ve discovered your website just a few months ago. I like it a lot, you have great information here, your way of thinking speaks to me and the photographs are outstanding. Second, after learning about your new position, I couldn’t be more happy, both for you and many Hasselblad fans, including myself. Congratulations! I wish you success and hope to see 6×6 back, or new camera, for V-series cameras. …or at lease an adapter. There are still many V-series users and even though that may not be the path to the future, the perceptions are important as well. Leica has not abandoned M-series users. I hope Hasselblad will not either. Again, good luck in your new role. Hasselblad is very fortunate; and displays commendable judgment. As it has been said many times – Congratulations! I wish you all the best in your new role. One thing I forgot to ask in my comment ; What is your general view on the future of the Hasselblad ? Do they want to stay in the higher end of the market or they want to explore the midlevels too or other products ? That is very good news. / In swedish = Det är mycket bra nyheter. And though it might sound strange.. The X1D on 24×36 mm. Smaller and less expensive than the SL but with the built quality of the X1D. There’s no such offering on the current market. Could be my camera for the next decade or more. Don’t underestimate the pride of ownership such a camera would bring. Congratulations, that is fantastic news! Excited to see what Hasselblad is gong to produce. All the best to you! Late to the well-deserved compliments. Hopefully other camera companies will do something similar. Does this mean you get to talk to Edward Burtansky (a big drone user, btw)? Or David Lynch? http://bit.ly/2nDWEnS ? Curious, what role does Hasselblad see for video? Video: I would say wait and see, but the reality is we’re in early days. That said, the H6-100 shoots UHD RAW off the full sensor, making for some really incredible footage. It’s not so much the resolution (lots of 4K, 5K and higher options now) – but the dynamic range and color…imagine the usual H raw files, but moving. Thing is though, video-centric hardware is very different to still-centric hardware; there will have to be a split in the line at some point if we are to cater to both markets simply because the control requirements are so different. But, let’s say the possibilities are very intriguing. “split in the line”: Makes sense. I dislike swiss-army-knife digital devices. A challenge which I believe suits you extremely well. 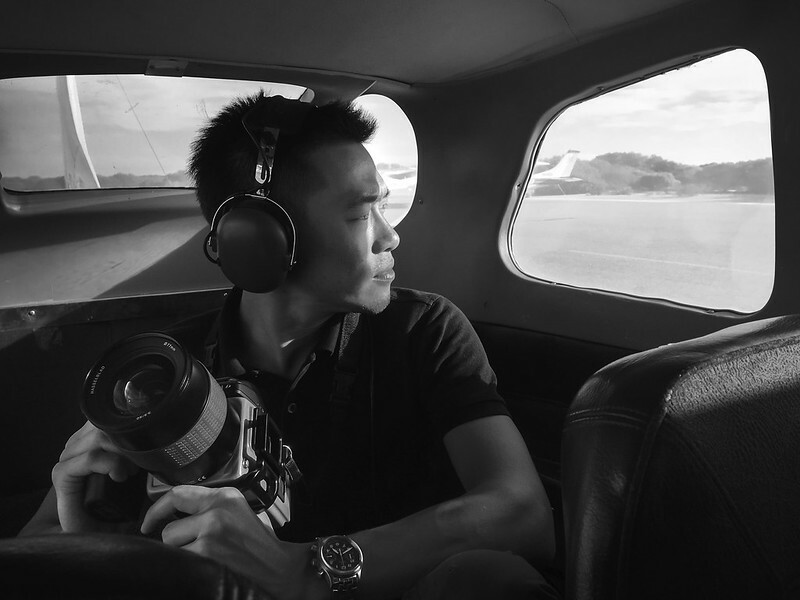 Congratulations Ming; and to Hasselblad–I believe they’ve racked up a big win. I won’t wish you good luck because I don’t think you’ll need it. You seem to be extremely capable at whatever endeavour you turn to. One giant leap for the camera brand! Congratulations Ming. Wish you (and Hasselblad) the best success! Congrats H.E. Ming! Excellent choice, Hasselblad! Congratulations; both to you, but also to your new employer!